If you have been a regular visitor to Avinashtech, you may have noticed that freebies keep coming in one form or the other. So here,s one more. You can get 1 Year Dr. Web Antivirus Genuine License Key Worth $30 for FREE using a promotion by DrWeb. 2. When you click as shown above after entering your details, you will be taken to another form( a sort of feedback ) like this. I am showing you the translated screenshot too. Just fill in anything you like in those fields. 3. After you click the above button, you are done. 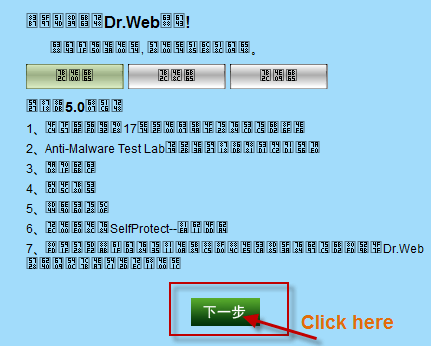 You will recieve a mail from Drweb with your license key. The mail wont be in english and you will be only able to recognise the KEY. 4. 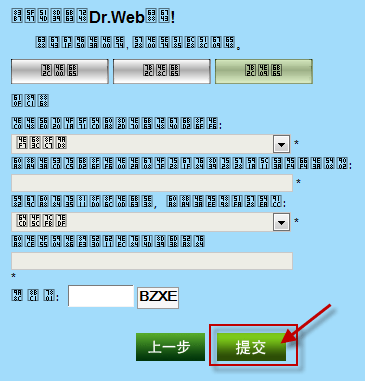 Use the key for activating Drweb. Leave a comment here if you need any help in installing it.